Friday Folly: Can We Have The Cripple When You Are Done? 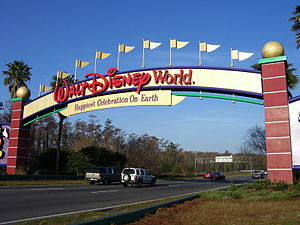 Ever been to Disney World? If so, you know what a bit@@ it could be to get anywhere. Lineups everywhere! If you want to lineup, you have to stand in line for that too. Well it seems like someone came up with a way to get around this setback. Use a disabled person! A handicap! A gimp! Whatever politically correct term you could find. They are there for the taking AND, people let them cut in lines all the time! So, a group of rich snobs, unlike you and me, thought this up…Oh wait, or was it a wheel-chair bound woman? I am not sure anymore but someone did. It’s a win-win situation. The disabled stand, or should I say sit, to make some cash while the snob with the perfect health and perfect family, gets to the front of the line. Awww…look at Mrs. Smith and her cute kids…Is that her mom in the wheelchair? Oh the poor lady. I wonder what happened…Here Mrs. Smith, you could go ahead of me. Talking about that, a friend of mine went to Disney World with his wife who was recuperating from a broken leg and was in a wheelchair. He kept getting rich looking women coming up to him and asking, “Are you done with her?” Or “If you aren’t using her, could we?” Just kidding…but it could happen.